Margaret Rose Klemick, mental health campaigner (1937 TO 2012). No-one was more surprised than Margaret Klemick when she was asked to cut the ribbon at the official opening of Southland Hospital's purpose-built mental health unit in September 2003. But no-one had fought harder than Mrs Klemick to help ordinary families in the south battle with mental health issues. The woman who died last week at the age of 74 had virtually single-handedly set up Southland's schizophrenia fellowship 25 years ago, magically persuading shy, withdrawn folk to come out and be together. She called for people to join her and others worldwide in a "walk for the world", a push to have sufferers from schizophrenia accepted and helped – and 20 people joined her in a walk up Bluff hill. The society she set up, the Schizophrenia Fellowship, today uses the initials for Supporting Families, widening its workload in recent times to include all mental health issues affecting patients and their families, schizophrenia being but one, albeit at the time seemingly the most widely known and in film and fiction both glamourised and vilified. Mrs Klemick recognised the stresses imposed on families when one member became mentally ill and she brought cheer and courage by making herself available as an advocate, a friend, a support person, giving of herself and her time freely. 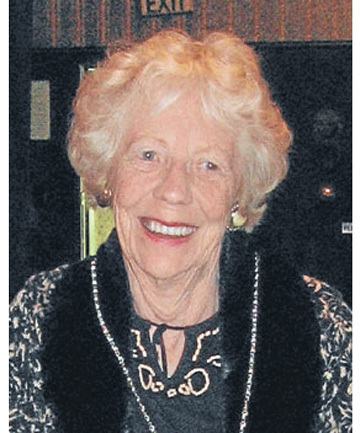 Changing attitudes towards mental health sufferers are due in no small part to the work of people like Mrs Klemick, who effectively chaired the Southland Mental Health action committee, but is perhaps best remembered by many Southland families as a friend who was always there for them, and the instigator of fundraising schemes to get the fledgling fellowship under way. Tiwai smelter staff supported her raft river race and the ILT joined local jewellers and clothing retailers in fashion shows at the Ascot Park Hotel. Funds were needed to establish a drop-in centre at the Cross Roads cafe at Central Baptist church and for the employment of field worker Raewyn Moate. With fellowship secretary Robyn Wohlers Mrs Klemick gained support from all involved in the field of mental health – professionals, patients and families. She had a busy life of her own as wife of Kevin (Wick) Klemick and mother of their five children, an artistic woman who loved to paint and to pot. But it was her willingness to go the extra mile that so endeared her to others. In a final gesture she asked that instead of flowers, people give to Supporting Families Southland, whose sunflower logo featured on the service sheet at the Requiem Mass celebrated for her at St Mary's Basilica in Tyne St.
And, ever conscious of the natural environment, she chose to be laid to rest near her beloved Wick in a wool-lined wicker basket woven from their homegrown willow by staff and trainees at Southland disAbilities Enterprise workshop. Widowed in 1998, Margaret Klemick leaves sons Steve, Tony and Greg, daughters Amanda and Kate, their partners and grandchildren Jacob, MacKenzie, James, Meg, Jack and Flynn. She leaves, too, many families forever grateful for the support she gave, the work she did, the projects she initiated to help people understand and cope with the trauma of mental illness.